How do I know if I’m disturbing asbestos? Comments Off on How do I know if I’m disturbing asbestos? What if I have done siding removal/cutting pipe/removed TSI (etc) on an asbestos containing product, am I safe? If I am only doing going to do touch asbestos for 20 minutes (or ___ time), will I still be in compliance? I am disturbing less than 3 square feet of asbestos, I can do this legally, right? 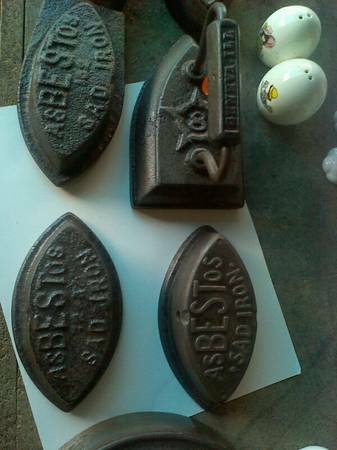 Or, an alternative answer: if you think you are disturbing asbestos; you’d better verify (by performing an air sample). Nowadays there is no excuse for exposing employees, tenants, neighbors to asbestos. And, really, if you are working with asbestos, you need to be extra diligent to inform everyone about the hazard. The worst situation isn’t from a single exposure to asbestos, or an OSHA fine. The worst situation is this: when you don’t pre-plan, and then verify your exposure levels. Because, someone will make up a worst case scenario, and at that point, you are already behind. Industrial Hygiene in Construction is powered by	WordPress 5.1 and delivered to you in 0.401 seconds using 30 queries.